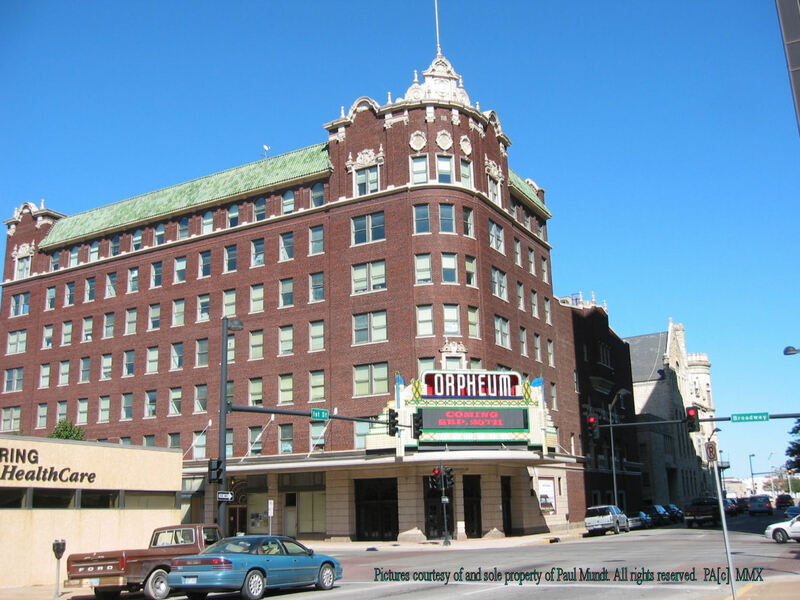 ThisOrpheum Theatre is located in Wichita, Kansas (approximately 340,000 people). We hope to visit when we can photograph the interior. Click here to visit this theatre's website.